We can now look back on 2018 as a completed year and one of the many salient points from that year is that the North West property market has been powering ahead while the South East property market has been languishing in the doldrums. That, however, was then, this is now. What does 2019 have in store for the North West property market? Here are three predictions. Over the past few years, the North West has been in the highly-desirable situation of seeing consistent house-price growth while still remaining affordable both relative to the South East and, crucially, relative to local incomes. In this context, it’s very much worth noting that the North West has been "skilling up" in a big way with the result that a significant percentage of its population now come into the category of young professionals. It’s also very much worth noting that although the North West does have a financial-services sector, it is, proportionally-speaking, much smaller than its London counterpart, meaning that the North West is much less exposed to the prospect of a "no-deal Brexit" reducing its ability to access international financial markets. With this in mind, it seems reasonable to assume that residential property will continue very much along its current trajectory although there may be more in the way of regional variations. In this context, the term "student property" specifically refers to designated student halls, rather than residential property which just happens to be let out to students (although the latter is also a significant market). This has the potential to become a major growth area for two reasons. Firstly, students are becoming increasingly astute when it comes to looking at overall value for money for their degrees and it is definitely being noticed that students at the many high-quality institutions in the North West get at least as good a degree as their counterparts in the South East but at a lower cost. Secondly, student residences are treated as commercial property and thus are somewhat outside of the politics currently seen in the residential buy-to-let sector. 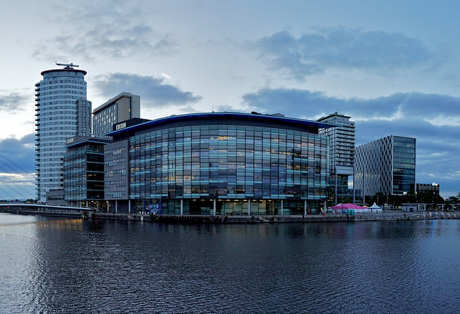 Speaking of commercial property, this is an area of the North West property market which also offers a number of interesting prospects for investors as we enter 2019. While much has been made of the death of the high street, it would probably be more accurate to say that the high street has simply reformed somewhat as has commerce in its broader sense. One sub-sector with a particularly high potential for growth is the niche of "co-working spaces", essentially places where solopreneurs and microbusinesses go to enjoy the practical benefits of having an actual physical office away from their home, but on their terms. The UK is seeing huge growth in self-employment and while there is a popular image of the self-employed as being largely home workers and/or "digital nomads", the truth is that many self-employed people do actually want (or need) to have a "proper" office somewhere other than their home, for example as a base to meet clients, as a way to be out of sight (and hence out of mind) of children or simply for the benefit of social interaction with "coworkers".